A coaching inn called the City Arms was built on this site in 1841, kept by Richard Pepperell until 1845. 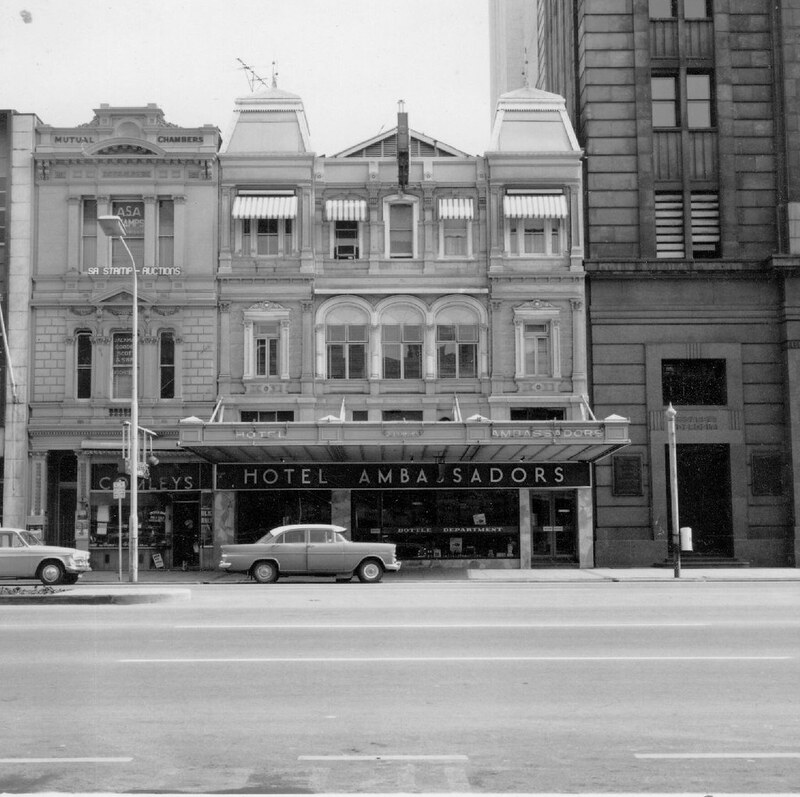 The new building was erected in 1881 and was licensed as the United Services until 1931 when it became the Hotel Ambassadors. It has been significantly modified over time. The cantilever awning over the footpath and the ground floor façade are additions from the mid twentieth century.